The recent Spanish ‘bail-out’ has had a mixed reaction from the global markets. 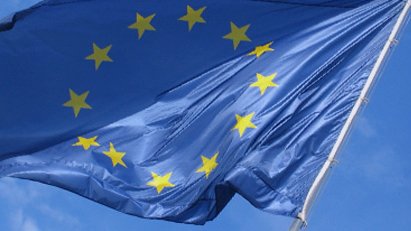 Stock markets in Europe and the U.S. fell, and Spanish borrowing costs rose, after the first post-bail-out trading day. It is fortunate for the Spanish populace, already subject to austerity measures, that the bail-out did not come with the same conditions as were imposed Greece, Ireland and Portugal on account of the funds being required for commercial banks rather than government funds. The said conditions were not without merit, particularly in the cases of Greece and Portugal where government spending had been fairly profligate. Of course, the right balance of austerity measures and growth policies is not readily struck. However, these merits, or demerits, are not what is most striking in the whole affair. The single currency was advocated with economic arguments, looking to a dramatic acceleration of the desired single market. Those in favour recognised a concomitant loss of national sovereignty, but had little or no public recourse to political arguments. It fell to opponents to make use of political arguments. Some went so far as to argue that this would be the precursor of a Soviet-style Europe. That is surely an exaggeration, but it would be naive to pretend that advocates of the Euro who eschewed the expression of political arguments did not in fact have political considerations in mind. These may be conveniently subdivided: abstract political ideas and notions on the one hand, and rather less virtuous ambitions and power-seeking on the other. Politicians may be well grounded in, and articulate about, the former while looking in practice to the latter. It would appear that these predominated in those who implemented the single European currency. Greece did not meet the strict budgetary and fiscal criteria for initial entry and was quite properly refused. It was admitted two years later when an apparent conformity to the criteria was presented. The Greek government’s figures were false and other European leaders were certainly aware of this. Moreover, an investigation by the German magazine Der Speigel has shown that other governments were perfectly aware that Italy did not meet the criteria for entry. It was admitted nonetheless. Political aspirations and ambitions led to a setting aside of economically sensible requirements properly agreed upon by reasonable and intelligent people. What was gained? In global terms the Eurozone could be presented as huge in surface area and population. Federalists were keen almost regardless of potential harmful consequences. Political designs and ambitions have produced the mess. Meanwhile, many individuals and families, particularly in Greece, are now living out those far-from-enviable consequences. Whole generations in Spain and Portugal as well as Greece may be locked out of gainful employment, and could disengage from society. Lessons should be learnt. Future policy makers should temper their delusions of grandeur with an honest and consistent approach to hard realities.